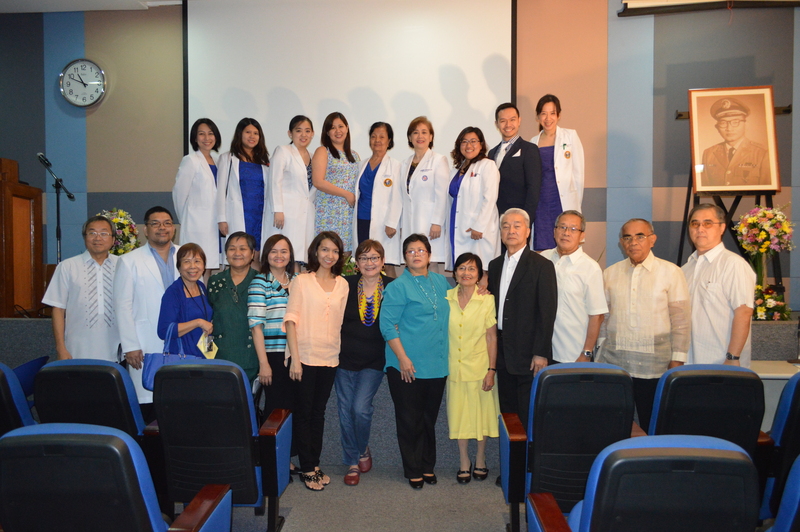 In celebration of the life, work and teaching of the late Dr. Jaime Zaguirre, the Department of Psychiatry UERM invited Dra. Carandang to speak to psychiatrists and medical students last February 12, 2014. 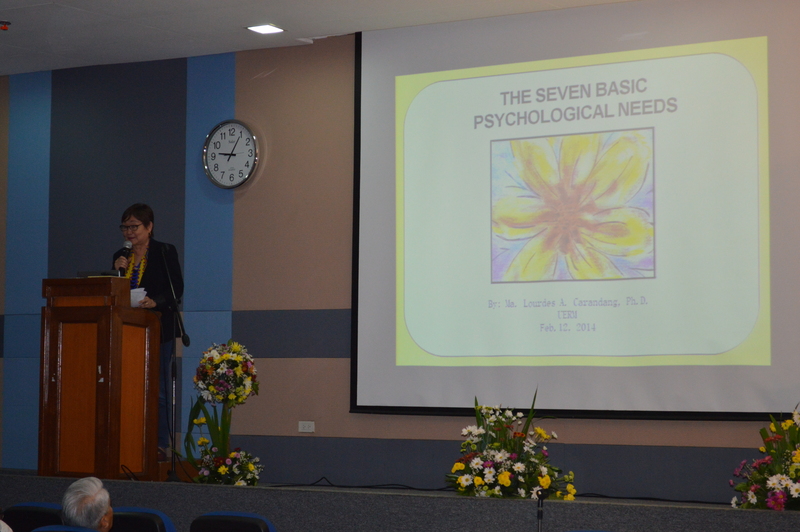 Dr. Joven Cuanang, recently retired medical director of St. Luke’s Medical Center Global city and former dean of the college of medicine of UERM, described the “7 Basic Psychological Needs” topic as a healing lecture. Dra. Carandang started her talk with an excerpt from Lorne Ladner, PhD (author of The Lost Art of Compassion), saying that it, “seems strange that one can go through years of western education without learning how to develop positive emotions.” She said that in some way, during training, medical students are actively discouraged from feeling empathy and compassion for fear that it would make them less objective. She also pointed out the parallelism in the discipline of psychology, where it was important for psychologists to hone skills that would help identify psychopathology but are not taught to cultivate positive qualities in themselves and others. The excerpt shared by Dra.Carandang alongside the observed notion that there is unspoken tension between psychiatrists and psychologists, made the audience reflect and brought out core issues during the open forum. Dr. Cuanang took a proactive stance and pointed out that the healing process should start there. He pointed out to the doctors and students present, that if medicine is seen as benefiting patients, then arrogance disappears. He said that connecting with people starts with being interested in them. Dr. Divinagracia, head of the Nursing department, suggested that the role of teamwork should be part of the medical curriculum. 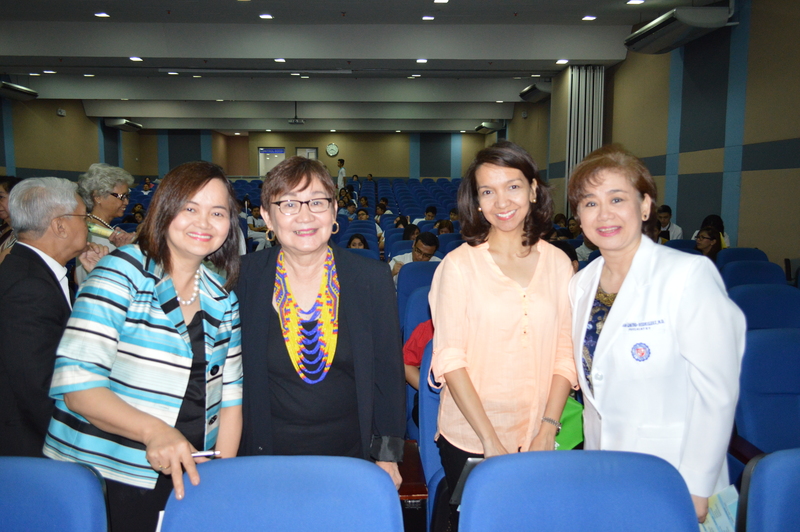 This 22nd Memorial Lecture, which was based on Dra.Carandang’s book entitled, “The Seven Basic Psychological Needs” (co-authored by Aguilar and de Guzman-de Asis, and published by Anvil Publishing Inc. in 2014) was simple yet the audience opened up to the speaker’s goal of helping them gain a clearer understanding of their own needs and the people around them. A very important need they seem to resonate with is the need to listen to one’s body, the need to get in touch with something that is one’s core. The morning ended with a response from the granddaughter of Dr. Zaguirre, Ms. Bituin Zaguirre-Almonte, expressing her gratitude for the luminous presentation and echoed the feeling that Dr. Carandang was instrumental in making a difference in their lives. 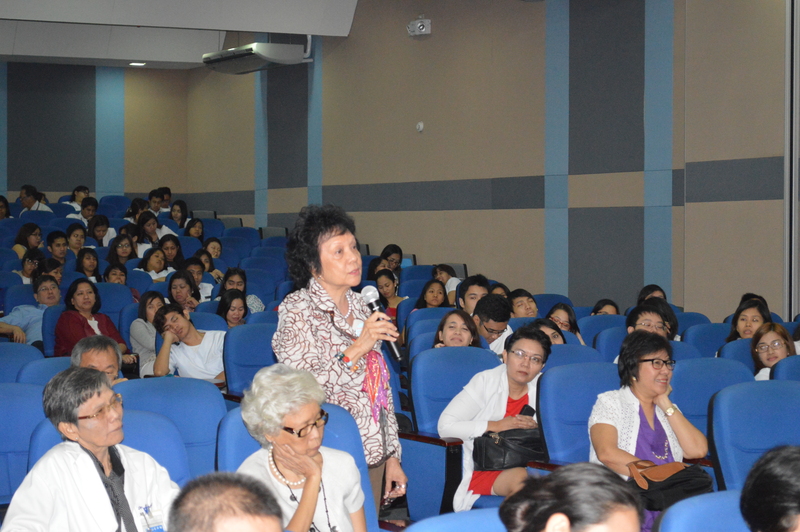 She felt that the lecture was timely for the medical community as well as for everyone present. * Photo credits to UERM. Thank you for sending us a copy the pictures!